Our attention has never been as overwhelmed as it is today and we've never been so busy while accomplishing so little. 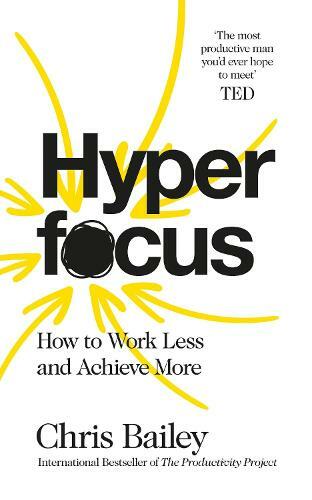 In Hyperfocus, the bestselling author of The Productivity Project provides profound insights into how we can best manage our attention. Chris Bailey reveals how the brain switches between two mental modes - hyperfocus, our deep concentration mode, and scatterfocus, our creative, reflective mode - and how the surest path to being our most creative and efficient selves at work is to combine them both.